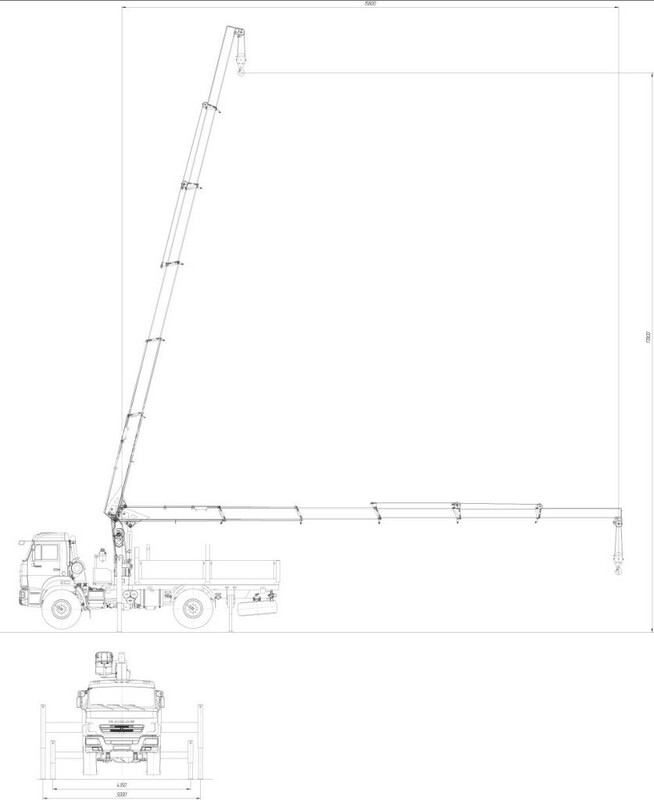 The outriggers are provided with retrospective self-adhesive film. 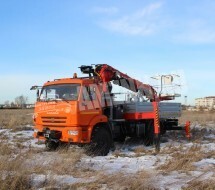 The special vehicle is provided with all obligatory safety devices for registration at the technical authorities (ROSTEHNADZOR) as an aerial work platform. 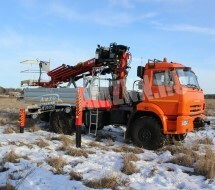 Technical passport for the truck mounted auger crane for technical authorities (ROSTEHNADZOR) – 1 it. 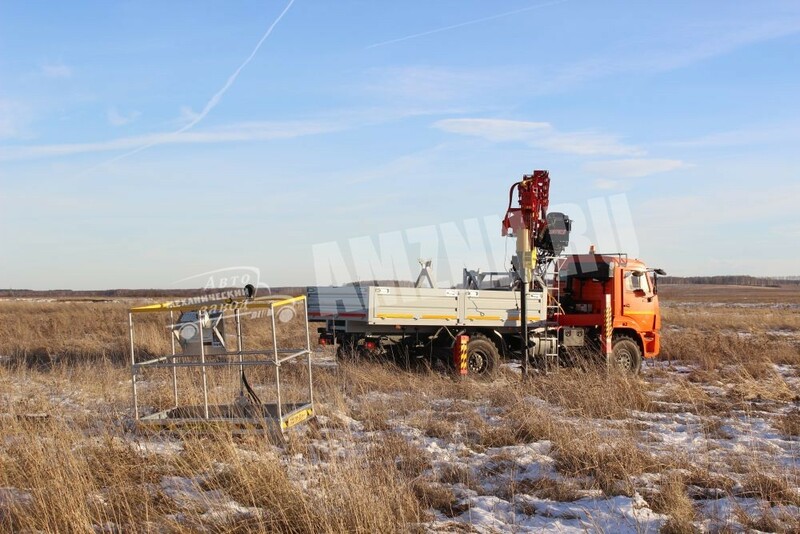 A telescopic auger with a detachable reamer is designed for drilling soils of I-IV categories making hole up to 0,45 m in diameter with the hole depth approaching 4,5m in the extended mode. 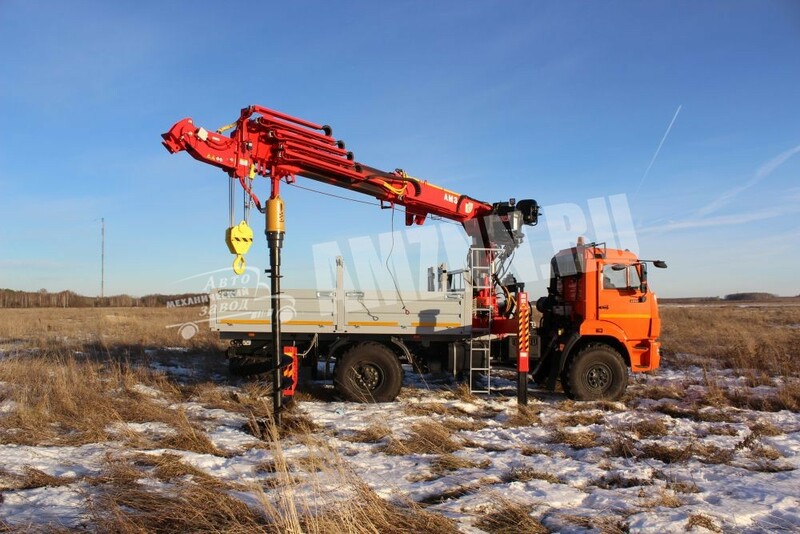 By attaching a 3-m extender the hole depth increases up to 8 m.
The drilling device is placed on the main boom in transport position. 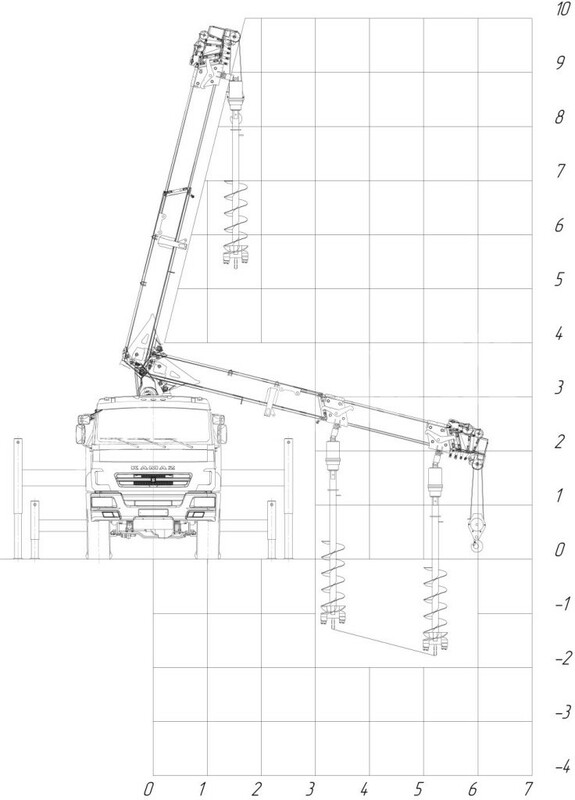 To optimize efficiency of an auger crane unit hydraulic systems of the loader and auger cranes have been subdivided. The loader crane part of the multi-purposed unit lifts and moves cargoes up to 8 tons. The slewing angle is 360° thanks to a worm gear type of the reduction thus making a continuous working radius. 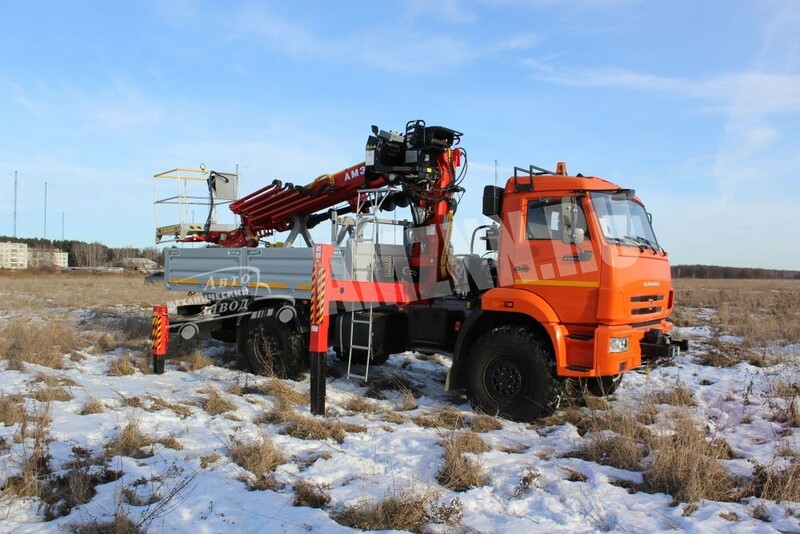 The stability of the truck-mounted crane is ensured by the use of front and rear extended outriggers. 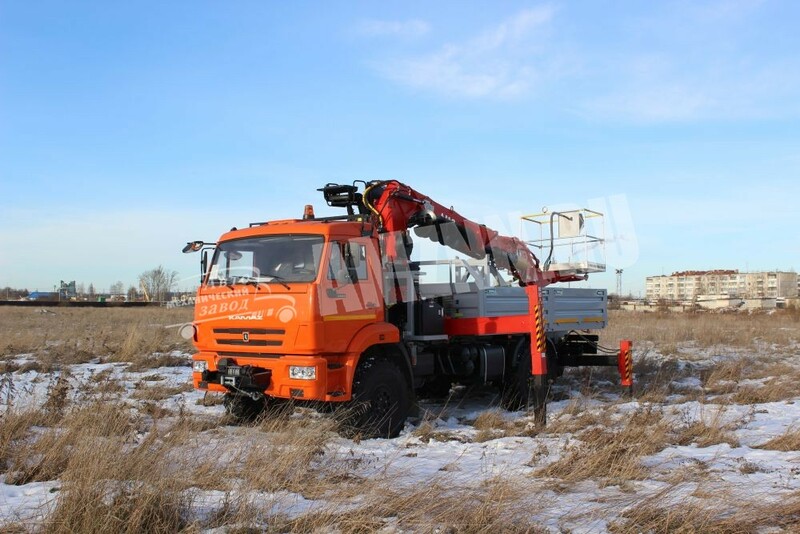 The working place of the operator is on the slewing turret, the control panels of the crane and drilling devices are also positioned on the turret, the access to the control panels is provided by folding stairs. An aluminium high-resistance basket isolated up to 1000V. For the sake of convenience there are two control panels on the platform: one in the basket and another on the turret. 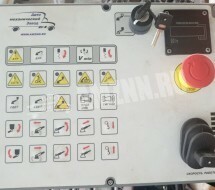 Electrical wires as well as high pressure hydraulic tubes are laid inside metal boxes to protect the cables against mechanical damages during operation. 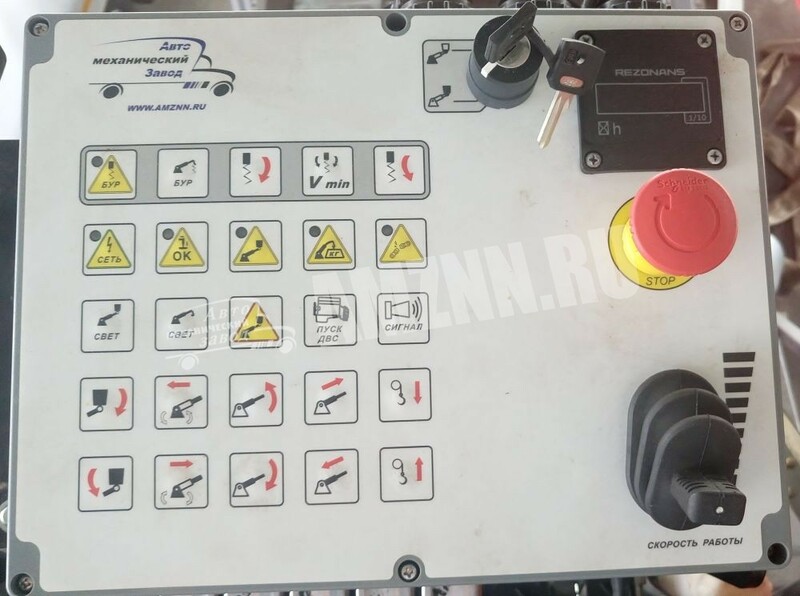 The special vehicle is equipped with a flashing beacon for lighting the working zone of the auger crane and a LED floodlight in the basket to work even in the night time.